Understanding both leadership and change have been recurrent and popular themes within the business, management and organization studies literature. However, our understanding of leadership and organizational change in combination is far more limited. 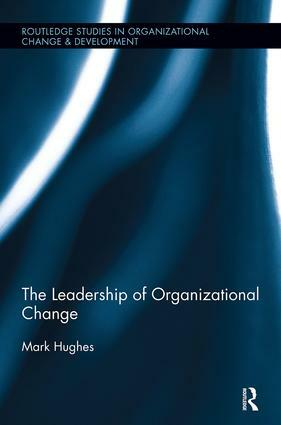 The Leadership of Organizational Change offers a critical review of the evolution of leadership and organizational change for the past thirty-five years, taking stock of what we know, identifying what we do not know, and establishing how the study of the leadership of change should advance. "The crisis of leadership today is the mediocrity or irresponsibility of so many of the men and women in power, but leadership rarely rises to the full need for it. The fundamental crisis underlying mediocrity is intellectual. If we know all too much about our leaders, we know far too little about leadership." While the study of managing change has benefitted from sustained critical scrutiny, particularly in the last decade, it is believed that this is to have been at the expense of critical scrutiny of leading change. The Leadership of Organizational Change critically reviews how the study of leading change has advanced since 1978 and the crisis of intellectual mediocrity.